Where Did the Saying "I'll Eat My Hat" Come From? Jeremiah C. asks: Did people actually used to eat their hats? If not, where did the expression come from? 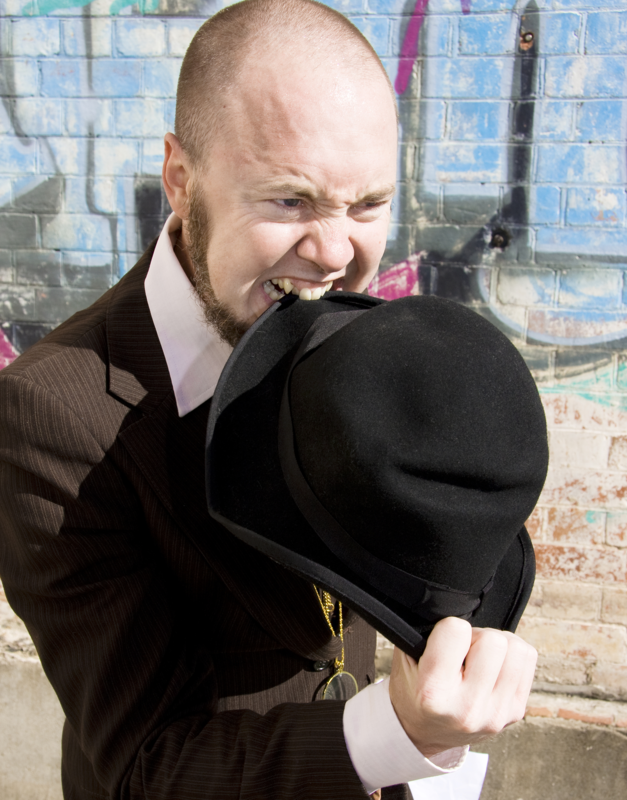 “I’ll eat my hat” is an utterance commonly used when a person is absolutely certain that something will not happen. But where did this unusual phrase first originate and have there ever been any recorded instances of people actually eating their hats after being proven wrong? For though we tumble down the wall, And fire their rotten boats and all, I’ll eat my hat, if Jove don’t drop us, Or play some queer rogue’s trick to stop us. While this is the first known example of the phrase “I’ll eat my hat” as we’d understand its meaning today, Bridges isn’t believed to have coined the phrase as much as he streamlined a now defunct utterance “I’ll eat Old Rowley’s hat” that had essentially the same meaning. This is uttered by a satellite character to mock the main character who is contemplating out loud about breaking a deal to avoid moving into a sub-par house. Given how long this expression has been around, this may leave you wondering if anyone has ever actually literally eaten their hat owing to uttering the expression and subsequently being proven wrong. The answer is yes. In fact, in the last few years alone there are several documented instances of this occurring. Then you have an Atlanta Falcons fan who filmed himself eating one of his team’s hats after declaring that the Falcons wouldn’t lose to the Panthers in 2015, and if they did, he’d eat his hat. When they did lose, true to his word, he ate the hat with a Wendy’s chicken sandwich. Next up we have British politician Lord Paddy Ashdown who publicly declared that he’d eat his own hat if the exit polls for a British election were correct. When they were, Ashdown got out of the whole thing while appearing to keep his word by eating a chocolate cake shaped like a hat during an interview. During the same interview, another MP who’d made a similar claim, only this time promising to eat his kilt, ate a cake shaped like a kilt- in both cases in true political form the individuals actually broke their word but attempted to make it appear as if they did not. Why Did Yankee Doodle Stick a Feather in His Cap and Call It Macaroni? Another example of following through on the promise of eating a clothing item, though this time not a hat, is that time famed director Werner Herzog claimed that if Errol Morris ever finished the film Heaven’s Gate (a now legendary box office bomb) he’d eat his shoes. Herzog, true to his word, ate his shoes after hiring a professional chef to prepare them with garlic and various herbs at the premier of the film. You can see footage of this in the aptly titled documentary, Werner Herzog Eats His Shoe. Well, I’ll go to the foot of our stairs. In 2015 a man in Alberta, Canada ate his own hat after a friend of his was elected as a member of the provincial Legislative Assembly.